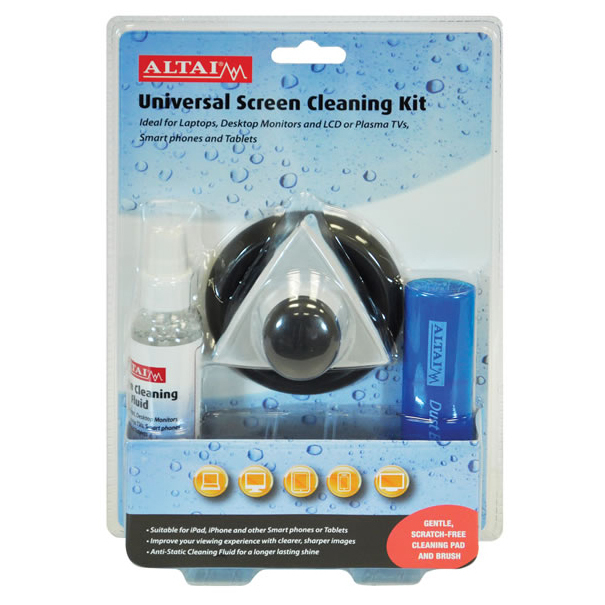 This great value Universal Screen Cleaning Kit is ideal for cleaning Monitors, LCD and Plasma Televisions, Portable DVD Players, Laptops, iPads, iPhones and other types of Tablet or Smart phone. 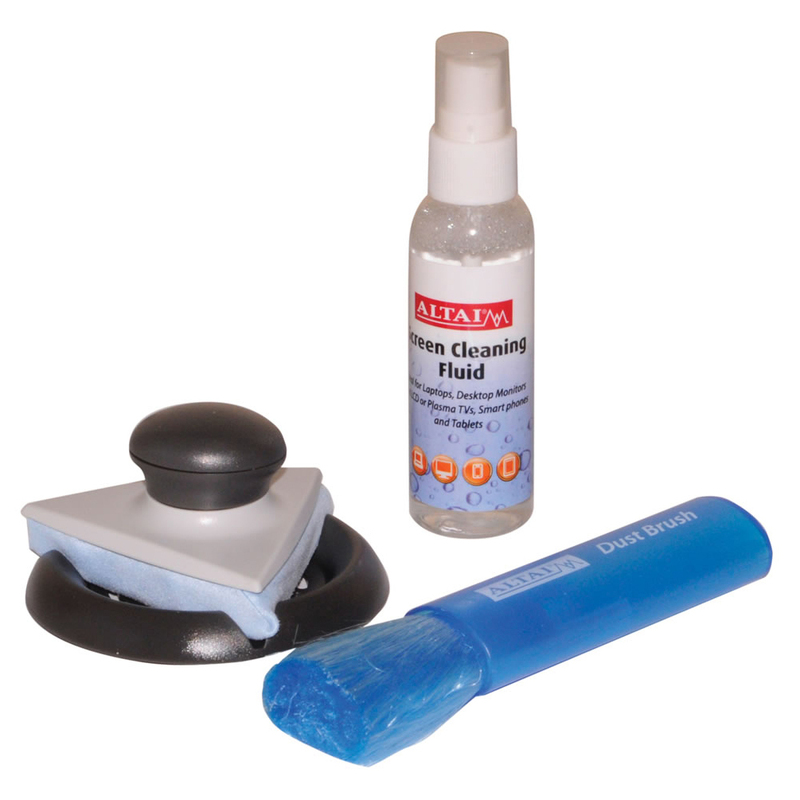 The Cleaning Kit includes a 60 ml bottle of Cleaning Liquid, a Cleaning Pad with Pad Cradle and a Cleaning Brush for long-lasting, gentle and effective cleaning of your screens and devices. The Cleaning Liquid, Pad and Brush have non-scratch, anti-static properties.